Caught is a psychological thriller. From director Jamie Patterson (Fractured, 2016) and set to be released by Cinedigm Entertainment, this title will show in theatres and on Digital, in just a few days. The story follows a journalist couple, whose home is invaded by a strange man and woman. A bizarre interview leads to murder. But why? Caught stars: Mickey Sumner (End of the Tour), April Pearson (Skins), Cian Barry (Nina Forever), Ruben Crow and David Mounfield. A preview of the film's upcoming Digital launch is hosted here. The trailer for Caught is a good one. It shows two characters descending from a remote hill. They enter a home, only to ask strange and inappropriate questions. Once the murder begins, there may be no way to get these killers out of the home. 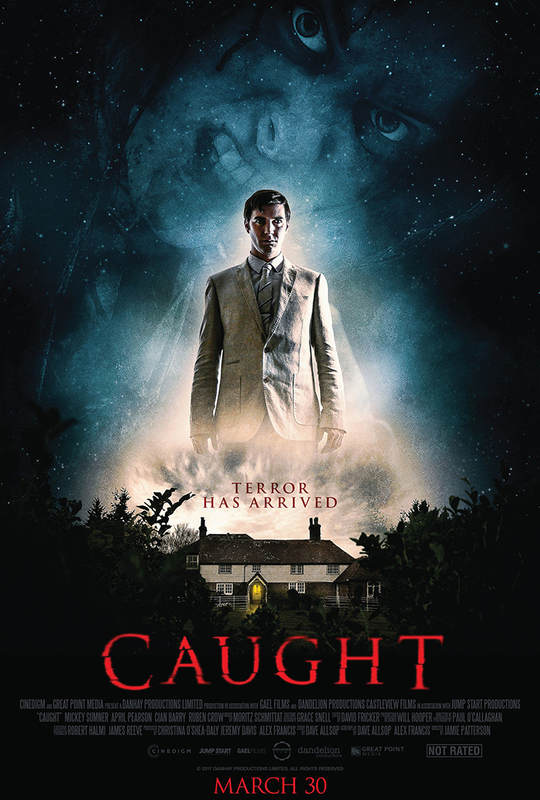 Caught is slated to show in a few theatres, through Cinedigm. On March 30th, Caught will also be available through most Digital platforms, including Amazon. The film is available for pre-order now. 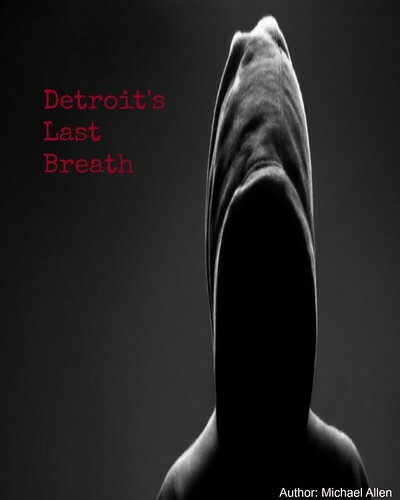 And, this is one indie thriller that fans of the strange will want to check out. More film details, on Caught, are below. Release Date: March 30th, 2018 (Limited Theatrical, Digital) and May 1st, 2018 (DVD). Cast: Cian Barry, Ruben Crow, Aaron Davis, David Mounfield, Mickey Sumner and April Pearson.